This history of women's work to reshape male-formed law has relied on many documents. 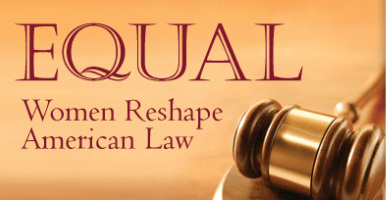 None illumine how, during a few months beginning in summer 2005, the Supreme Court rolled back to a ratio of eight men to one woman, a disproportion unseen in entering classes of law schools since 1971. As yet we have as no equivalent of the Presidential tapes, first available in late 2000, which document that President Richard Nixon proposed nominating Judge Mildred Lillie in 1971 as what he called a sort of "screen," a form of "playing around" to push aside obstacles (his wife had urged he choose a woman, as had many other women including Sandra Day O'Connor, then a state senator in Arizona) before naming his real nominees: Lewis Powell and William Rehnquist.